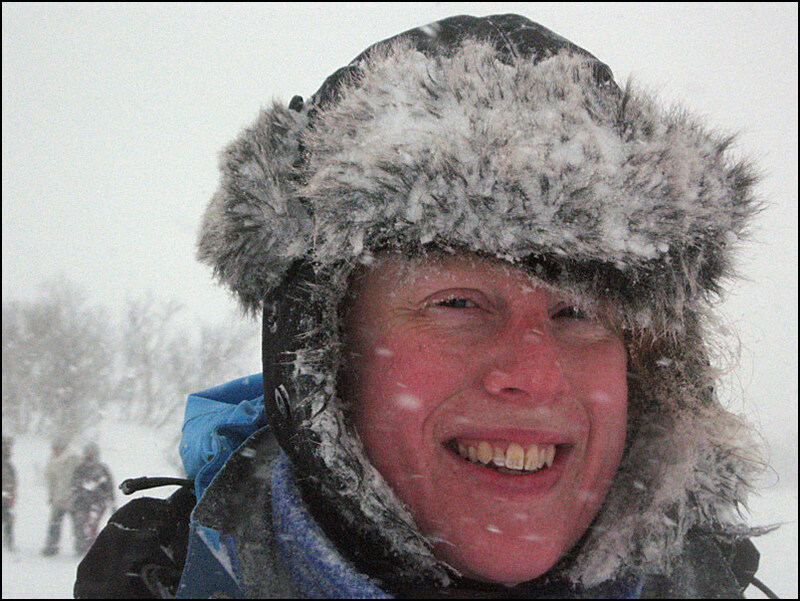 Last Tuesday I went dog sledding with my sister, at the Tromsø Villmarkssenter. When we arrived, they told us we were on a special list as we had booked to drive our own sled. We had no idea that we had done that! My sister panicked a bit, as she was hoping just to sit in the sled 😉 but I was really excited!! We first had a look around the centre, they have about 250 dogs there, incredible! 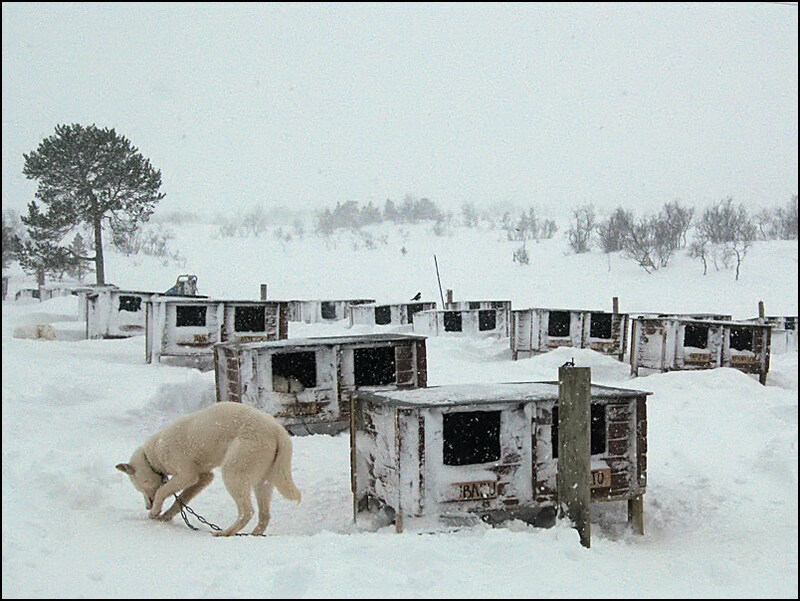 They all have little houses and are on chains, but they are very friendly and playful. 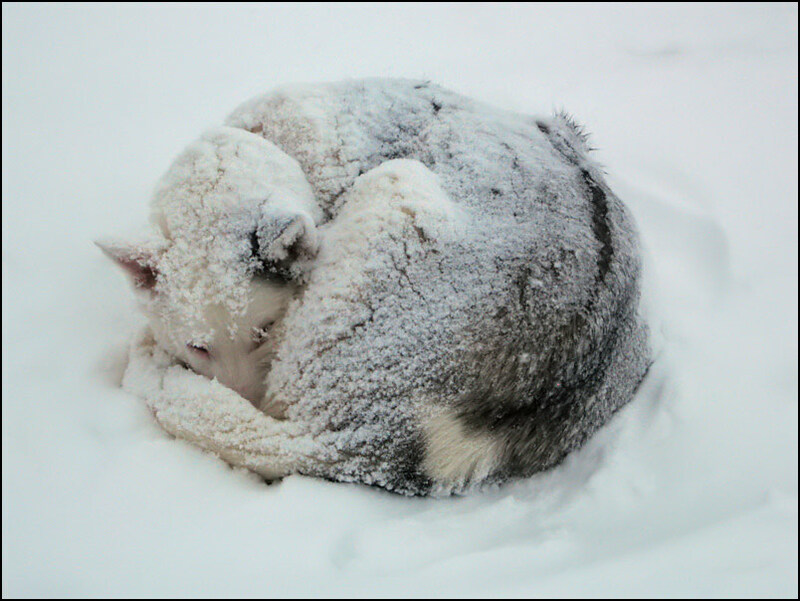 We had crazy snowfall on Tuesday (about half a metre fell that day and during the previous night) and many of the dogs were sleeping outside, curled up to protect themselves from the strong wind. Very cute! 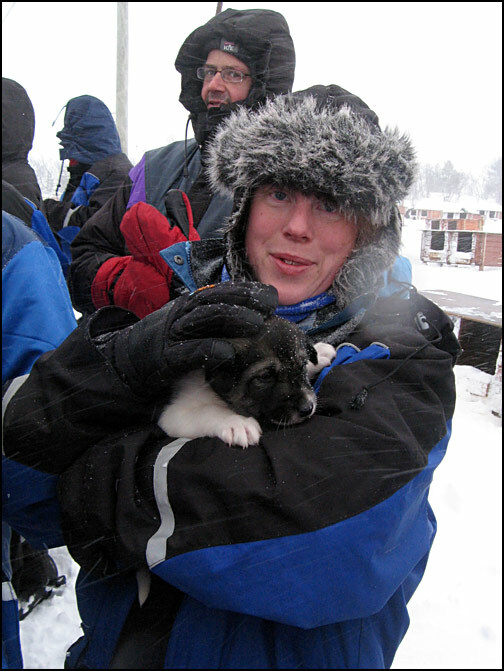 There were puppies too – ohh they make your heart melt. I am actually not really a dog-lover (I’m scared of big dogs!) but I make an exception for Husky’s and especially puppies, hehe. 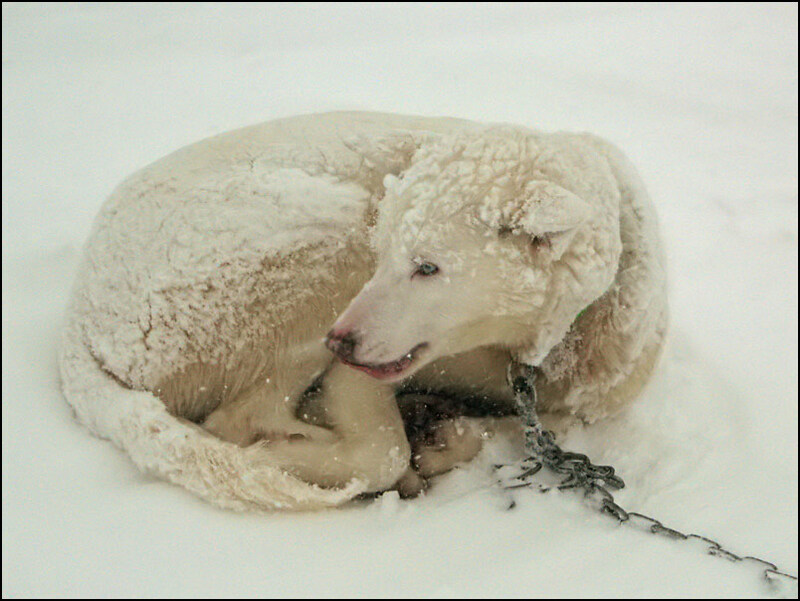 And then it was time to go sledding! 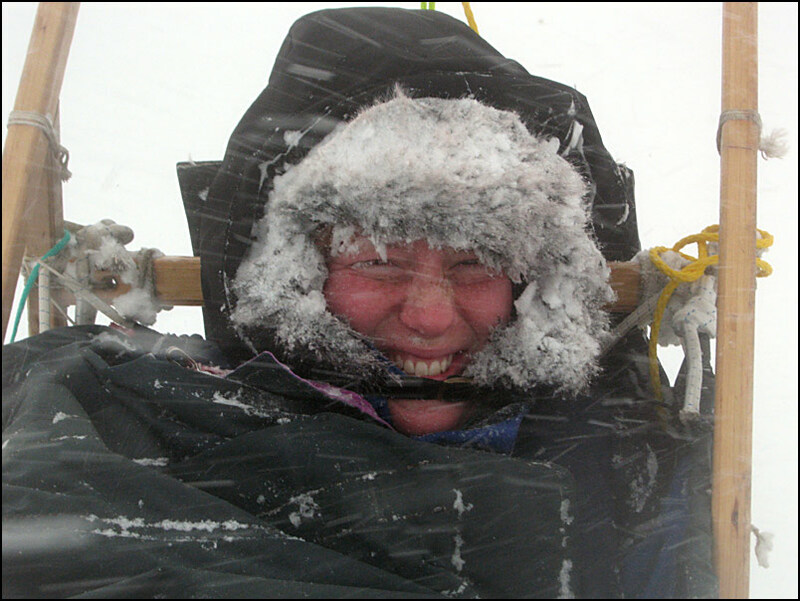 Here my sister is waiting next to our sledge. I got some quick instructions, and off we went! 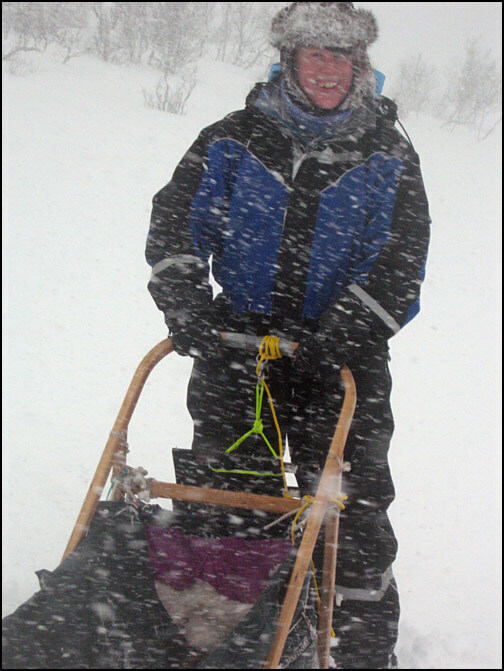 We were the only ones driving ourselves, the other tourists were sitting in couples on the sledges, with a musher driving the sledge (a musher is what you call the driver of the dog sled). Since my sister didn’t want to try, I drove the whole way (about 45 minutes). 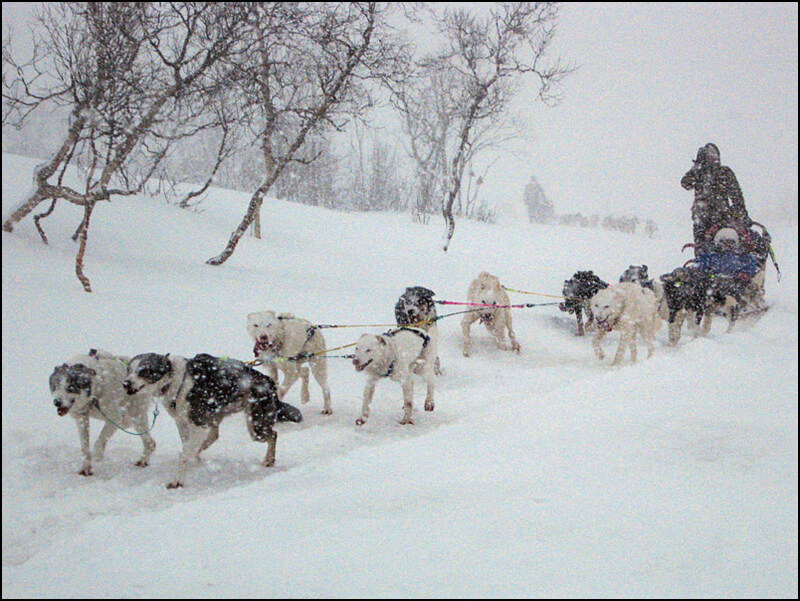 It was actually quite easy, the dogs follow the sled in front of you anyway, so all you have to do is brake. And keep the sledge in balance, that’s actually the hardest part! 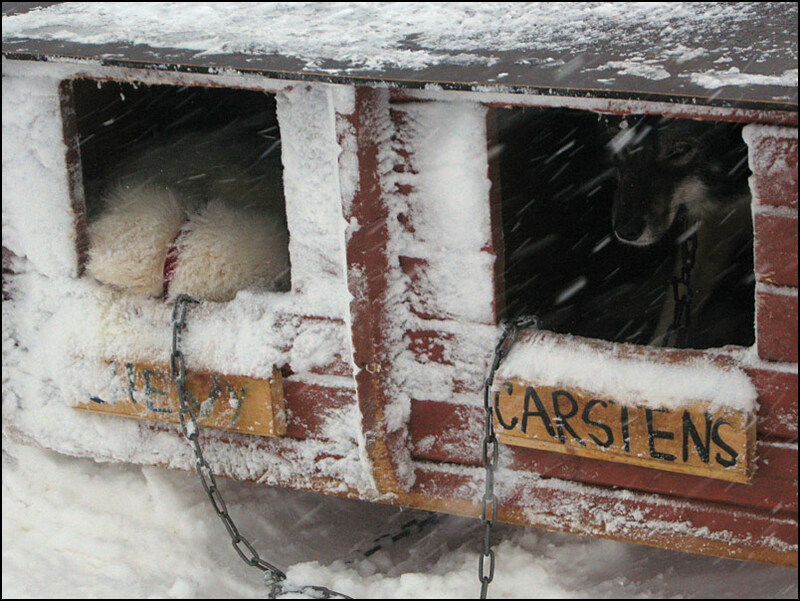 Our sledge had 7 dogs in front, and they did a great job. The sledge has a brake that you need to apply most of the time (wow, we would go so fast otherwise!). If you brake hard enough, the dogs stop. 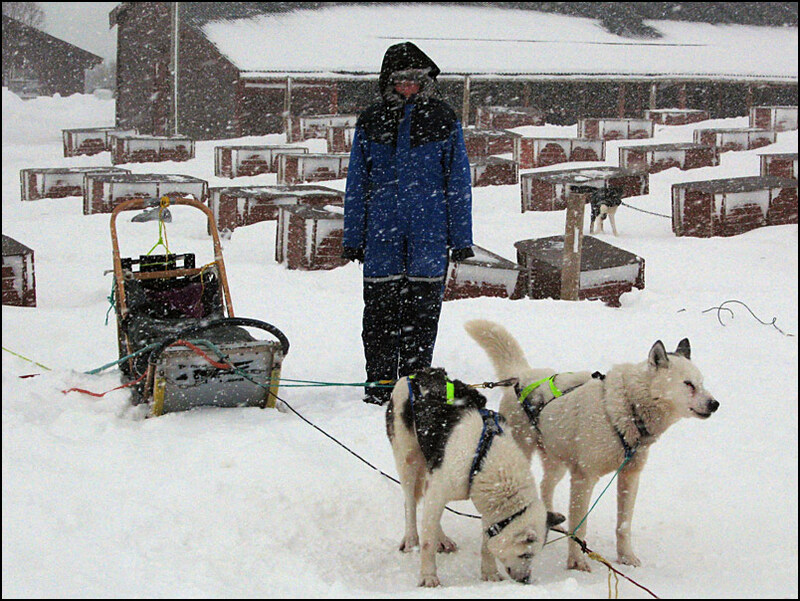 Then if you want to go again, you simple push the sledge a bit and they start running – they are so keen! This is what we looked like after braving the snow blizzard… luckily I was wearing goggles during the trip, or I wouldn’t have been able to see anything!